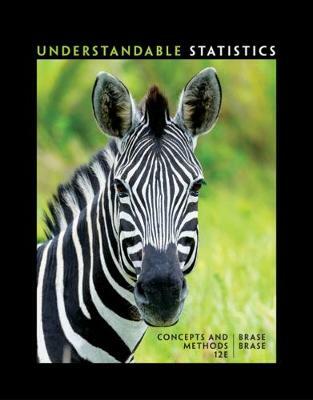 UNDERSTANDABLE STATISTICS: CONCEPTS AND METHODS, Twelfth Edition, is thorough, accessible, and designed to help you overcome 'statistics anxiety' and master the subject. Clear guidance and informal advice help show you the links between statistics and the real world. Making the material interesting as well as easier to understand, the book integrates real-life data from a variety of sources, including journals, newspapers, and the Internet. Special features and exercises throughout the text let you develop your critical-thinking and statistical literacy skills, and interactive online resources offer you extra study assistance and tutorial support'including step-by-step video solutions'outside of class. The use of graphing calculators, Excel©, Minitab©, Minitab Express', and SPSS© is covered, although not required.